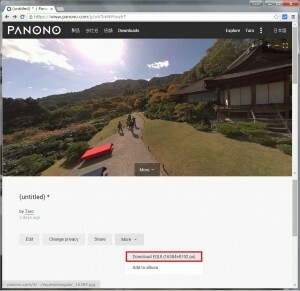 How to get Panono photo ball – Taro is here! This ball is the printed result of the following panorama. I wrote in my recent post that Panono does not allow us to download the raw image file. But Panono site was updated. 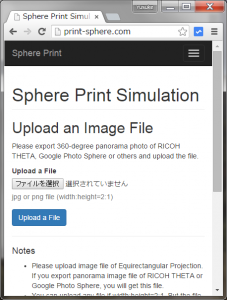 Now, we can download raw image file as equirectangular projection! Only the owner of the photo can download the file. You’ll see the preview if you upload the equirectangular image file to http://print-sphere.com. After checking the preview, you can order printing if you like it.